Universal Studios theme parks continue to unveil the horror franchises to be featured at the upcoming season of Halloween Horror Nights, and following the reveal earlier this week that all four chapters of Insidious are coming to the Hollywood park, just yesterday the Orlando park announced the new Horrors of Blumhouse, to feature not only Insidious (again to include elements from all four chapters), but also The Purge, and Sinister . The Hollywood park is also getting its own version of the Horrors of Blumhouse, to feature The Purge and Sinister, as well as the studio’s upcoming Happy Death Day. It was previously announced that American Horror Story is coming to Orlando with characters from three of the anthology show’s seasons, Asylum (Season 2), Coven (Season 3), and last year’s Roanoke (Season 6), and a different Roanoke-specific maze is coming to Hollywood, as well as Trick ‘r Treat, The Purge, the Titans of Terror Tram, Saw, Ash vs Evil Dead and The Shining at both parks. You can check out the official announcement video below, and keep watching Halloween Daily News as we bring you more updates on this year’s Halloween Horror Nights at both Universal Studios parks in Orlando and Hollywood, as I’m still betting that we will get a Michael Myers/Halloween-related announcement any day now. 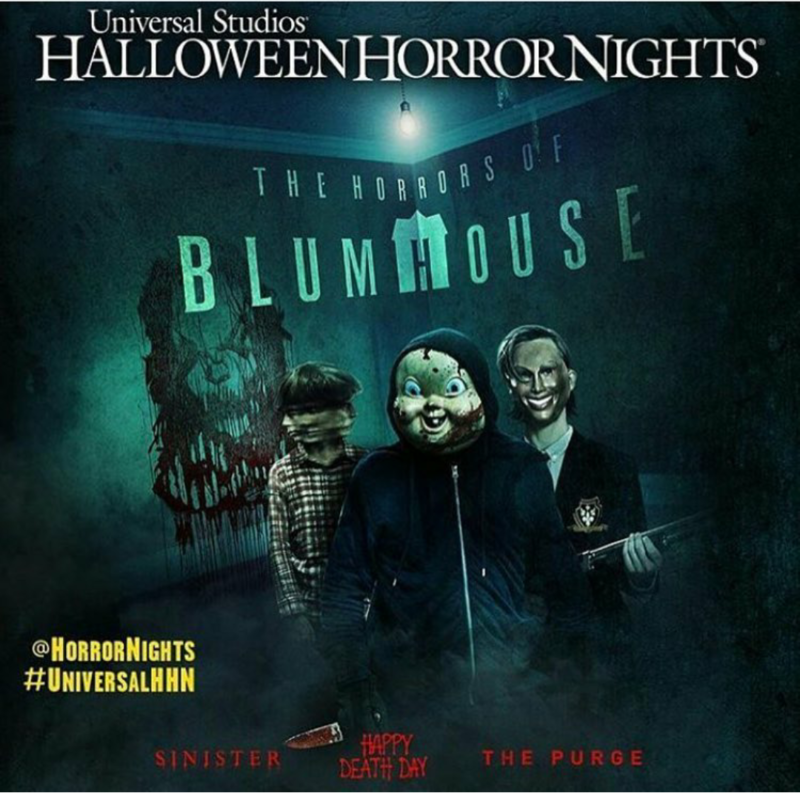 Halloween Horror Nights takes place at Universal Studios in Orlando and Hollywood on select nights from Sept. 15 through Nov. 4, 2017. Click here for more on Universal Studios Halloween Horror Nights 2017! Jamie Lee Curtis Returns as Laurie Strode in ‘Halloween’ 2018!